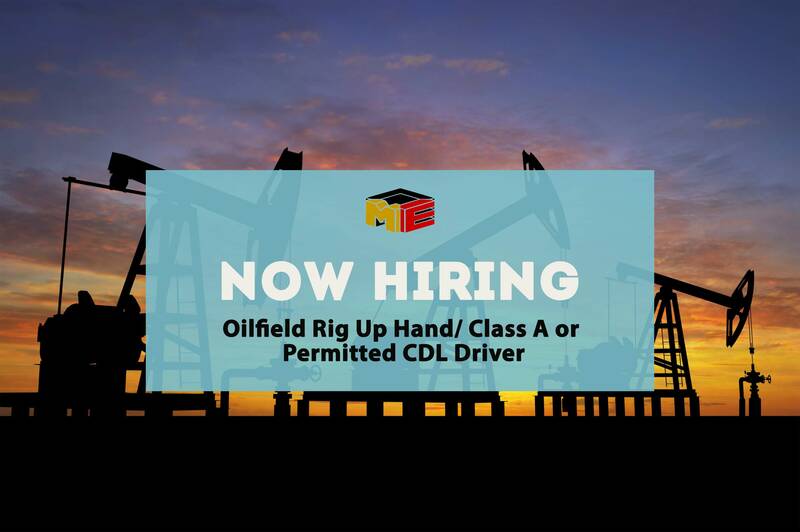 Moran Equipment is now hiring two Oilfield Rig Up Hand/Class A or Permitted CDL Drivers. We are holding open interviews on January 29, 30 & 31, 2018. New yard opens up Feb 2019. Drive & rig up flowback iron & equipment to various oilfield locations in South TX or the Eagle Ford Shale Play. Must be in good physical condition. Moderate to heavy lifting required to rig up these flowback jobs. Must be able to pass a Fit for duty test. Having your Safeland USA card, H2S Card & PIT (Power Industrial Trucks or Forklift certification) is helpful. If you don’t have them, we’ll help you get them! Clean Motor Vehicle Record required. Must be able to pass drug & alcohol tests. 1+ experience per year is beneficial. Class A CDL with a combination endorsement. No air brakes or tankers required. Class A CDL permit helpful as well! We’ll help you get your Class A CDL. Class B CDL drivers are also encouraged to apply, but we’ll need you to get your Class A CDL later. Fill out the first part of your application on our Careers page. Attach your resume, if you have one.